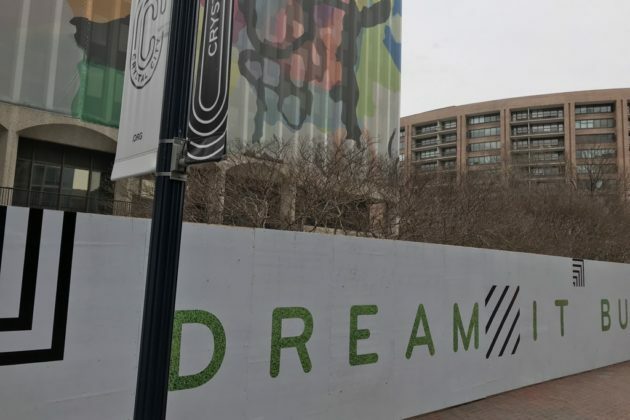 Arlington’s Crystal City neighborhood is echoing with the sounds of demolition today as work gets underway on Amazon’s new, temporary offices. 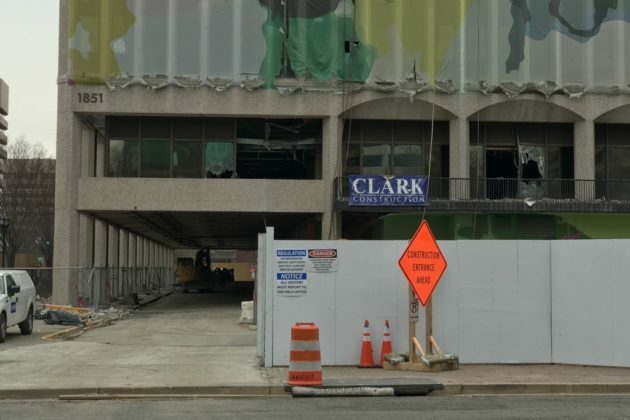 Loud, heavy demolition is underway at 1800 S. Bell Street and 1770 Crystal Drive, two of three buildings near the Crystal City Metro station that Amazon plans to lease from JBG Smith. 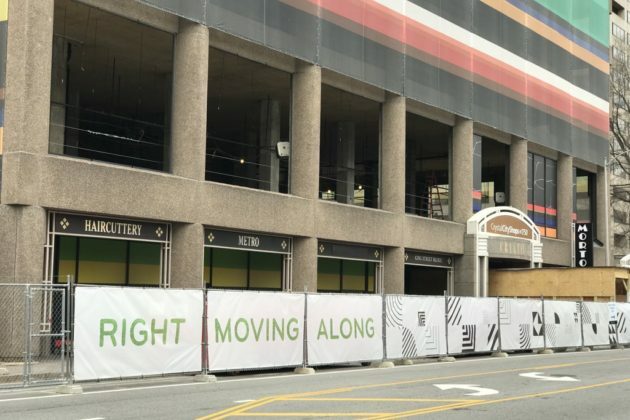 The aging office buildings are being refurbished prior to Amazon’s arrival. Lighter construction is underway at 241 18th Street S., which is also part of Amazon’s plans but which has other, existing tenants. 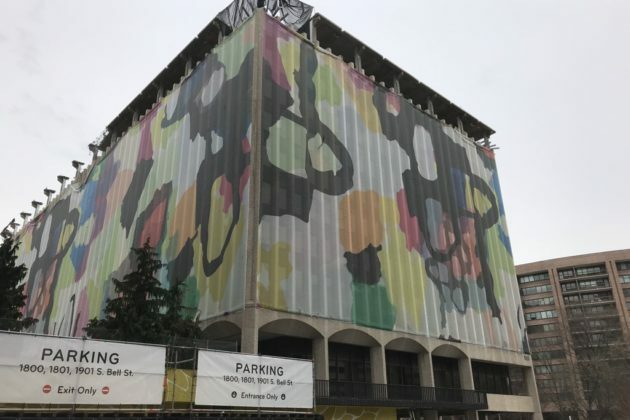 The space — around 500,000 square feet in total — is planned to only be temporary for the tech giant, which is set to eventually move to a brand new office campus near the Pentagon City. 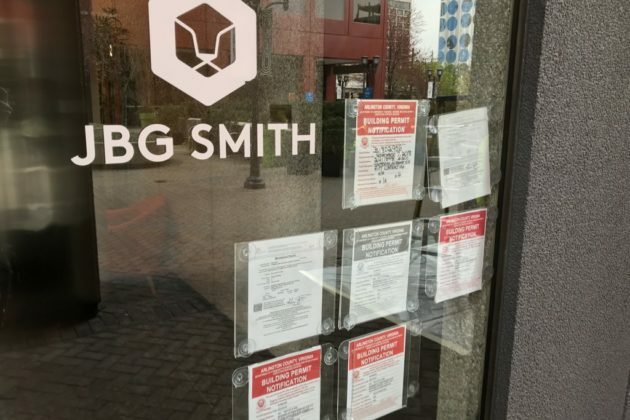 JBG Smith, which plans to sell Amazon that property for its permanent campus, is rehabilitating Amazon’s Crystal City office buildings as part of a “big bet” on the area’s future with Amazon on board. 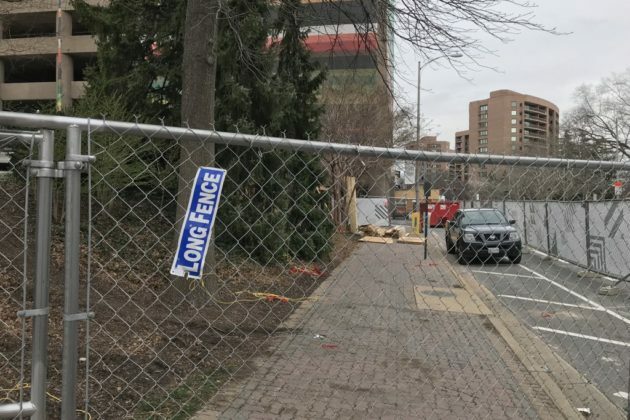 The arrival of “HQ2” is not only prestigious for Arlington and the combined Crystal City-Pentagon City-Potomac Yard area now being called National Landing, but also for the contractors working on the project. 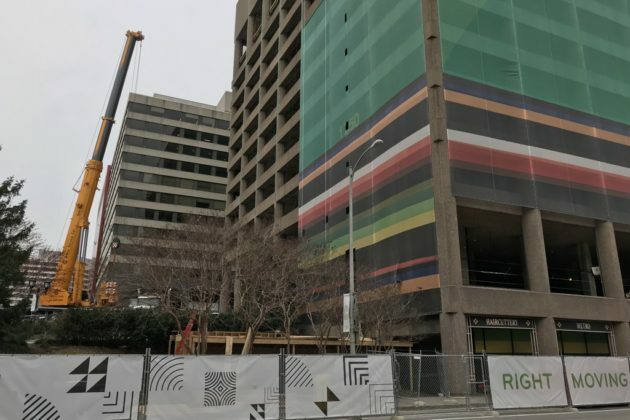 On Friday, one contractor even sent out a press release, below, and posted on Facebook about its work on the Crystal City project. Arlington’s best-known project is currently under construction. Muller Erosion & Site Services has begun work on the highly anticipated Amazon’s new HQ2 in Arlington, Virginia. 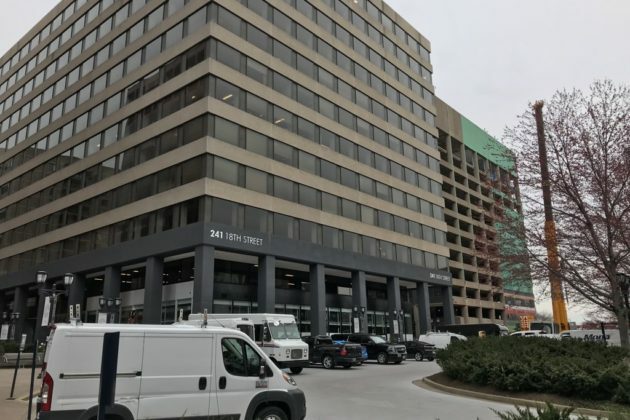 Amazon is building its second headquarters in the Crystal City, and Muller Erosion & Site Services is proud and excited to be associated with the project. For Muller Erosion & Site Services Inc, this is a prestigious project and affirms the company’s high standards of services. 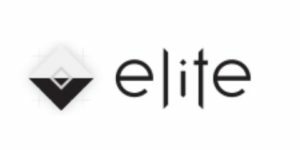 The company is considered to be a leading site construction business in the Mid-Atlantic region and works on several high-profile projects throughout the region. 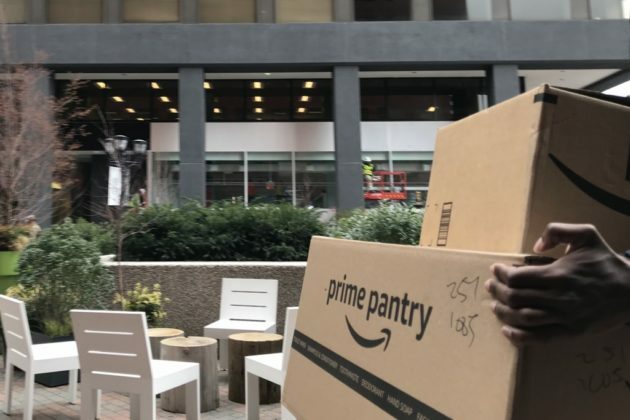 “We are thrilled and honored to be part of Amazon’s new plans to build its second headquarters in Arlington. 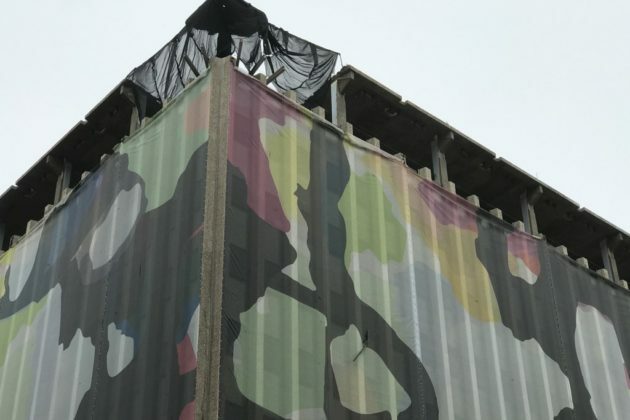 Our best service will be delivered by our experienced team, and we look forward to contributing to the project however we can,” said a spokesperson for Muller Erosion & Site Services.